How do I link a PDF map to my form for our members to download, make corrections on it and then upload? As part of our contract, our members have to download a map that is linked on the form. They then annotate a location on the map, scan it and upload the map again as part of the contract. I know how to do the second part (upload the file) but have not seen any reference as to linking a file to a question so it can be downloaded. 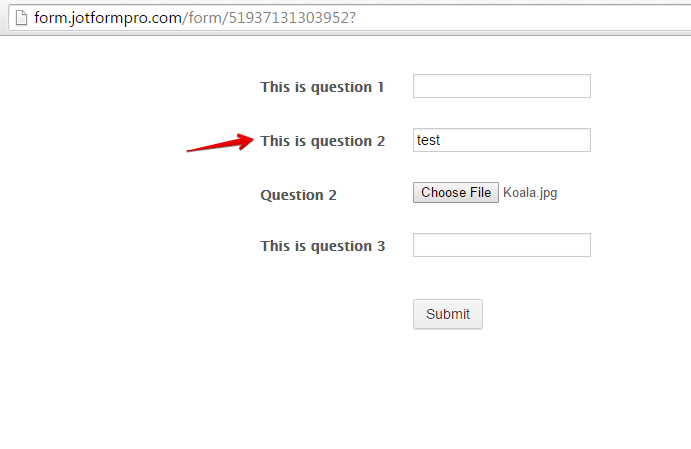 I have included the form & question# and a screen shot of how it appeared in FormCentral. Any help would be greatly appreciated! You can use -Smart-Forms-Using-Conditional-Logic to show/hide the links base on the selected answer on the question. You can actually name the Upload field so that it will appear as the question on the submission data. Since the upload field is named, you will be able to know which Question (named Upload field) was used to upload the file. Here is an example http://form.jotformpro.com/form/51937131303952? 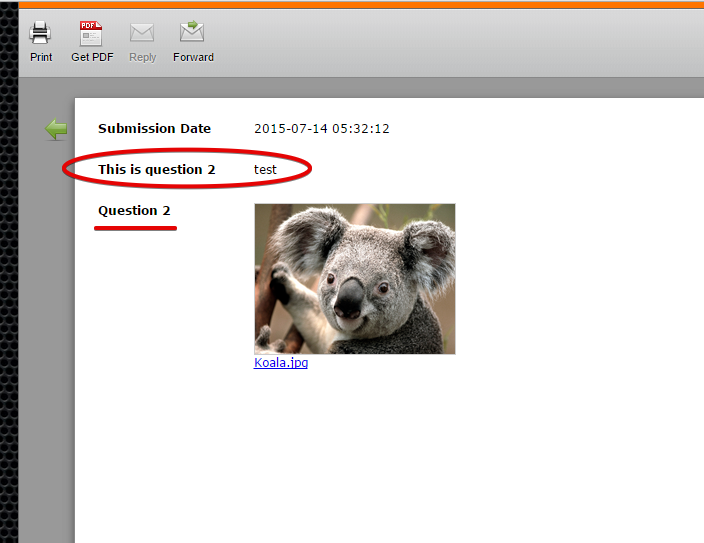 I was able to know Upload 2 was used and associated to Question 2 when viewing the submission. Hope this help. Let us know if this will not work for you.